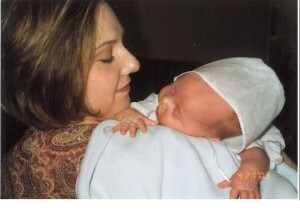 Ten years ago today, I walked into a banquet hall bursting with excitement and a baby boy in my swollen belly. It was a day to celebrate my baby-to-be, my pride and joy, and later, as the delivery nurse put it, “the king of everything.” We were showered with gifts, love and eager anticipation as we still had to wait another three months to meet this little bundle of mine. That day, no one, not even myself, knew the extent of my love for him and the extent of care he would eventually need. No idea that he’d eventually, 18 months later, be inflicted with a regression that would leave him trapped in his own world with, as doctors told us, no hope of recovery. Two years and three months to the day, a doctor would give up on my boy, list the things he would not do, and tell us that he was a prisoner and would never live a free life. That was never a possibility for me, especially on that day — a day of joy, love and most of all… freedom. I could do whatever I wanted and, most of the time, I marveled at the life I was growing, the intimate knowledge of every move he’d make when no one else knew. He was my boy and soon, in three months and six days, he’d be free. Free from my belly, but still a part of me – not realizing I’d have to work so hard on a quest to free him again, 18 months later. We are still on that journey toward freedom. My love for this boy is unending and it’s that love that will bring his freedom. No matter how hard this is, Mama loves you, Pooka! To read more blogs by Cupcake, Click Here. This entry was posted in Blogs by Thinking Moms' Revolution, Cupcake TMR. Bookmark the permalink. I remember feeling cheated because my son has not been given what I thought he was promised. And I would never wish for autism in our lives, but since it is here I have grown more than anyone could have guessed. A parent’s love for their children never ceases to astound me. The heart’s capacity for love. And the drive of that love… to do ANYTHING for these little beauties. The ache you feel when your child does something wonderful, or terrifying, or funny. Having this kind of love in my life changed everything; how I see the world, my understanding of my place in it, my interaction with other people… the present, the future…. everything. It is almost hard to have this kind of love in my life… but I am forever grateful for the gift.